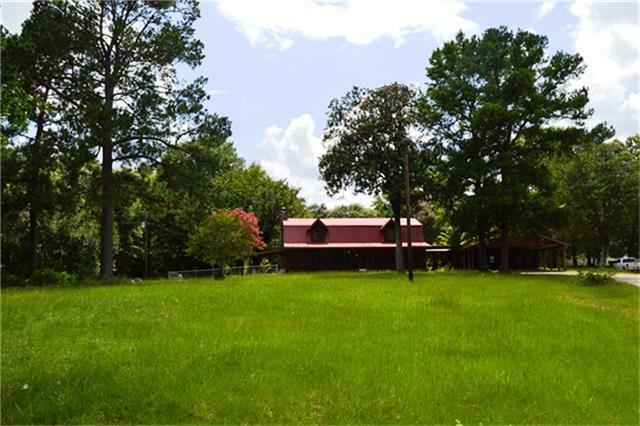 Epitome of secluded county living in this 3 bedroom log home with in ground pool and large shop all on 70+/- fenced and crossed fenced acres with riding trails and 2 large ponds! 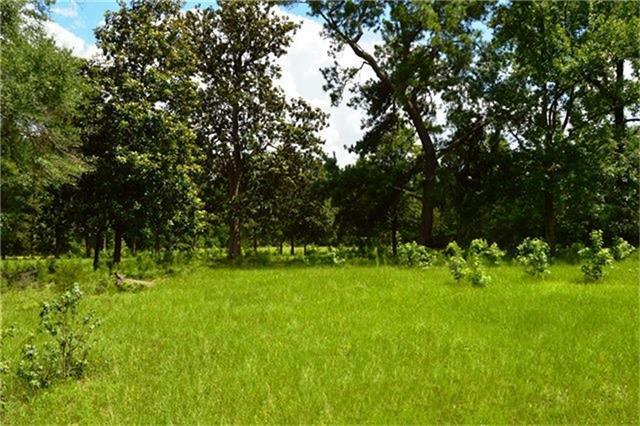 Up the winding drive through the cleared front acreage you can see the home nestled in the mature shade trees farther into the property. 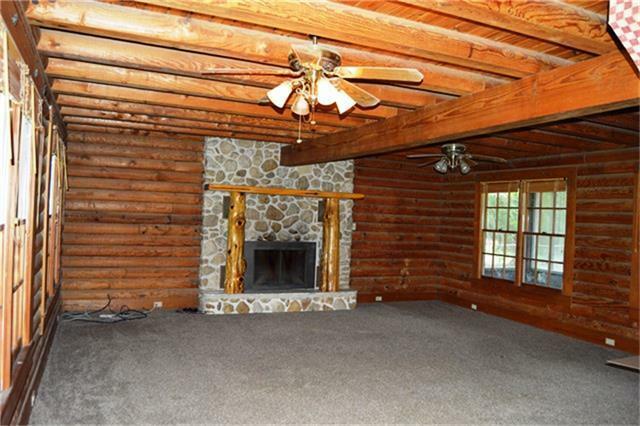 This log home has serious rustic appeal, with it s interior log siding, exposed beams, and of course the focal point of the room being the large rock fireplace. 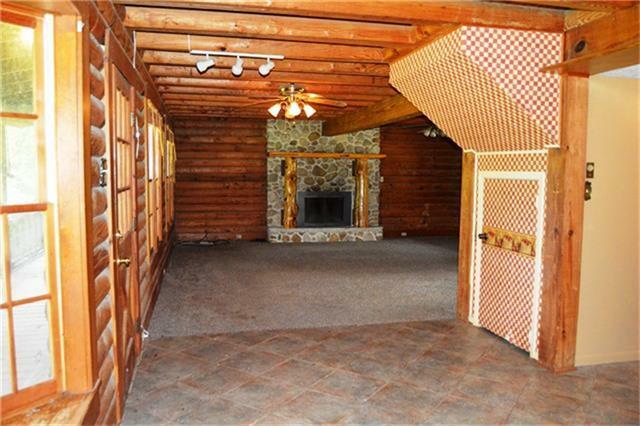 This room is spacious and carpeted making it a great place for family and guests. Another view from the dining room into the living room. 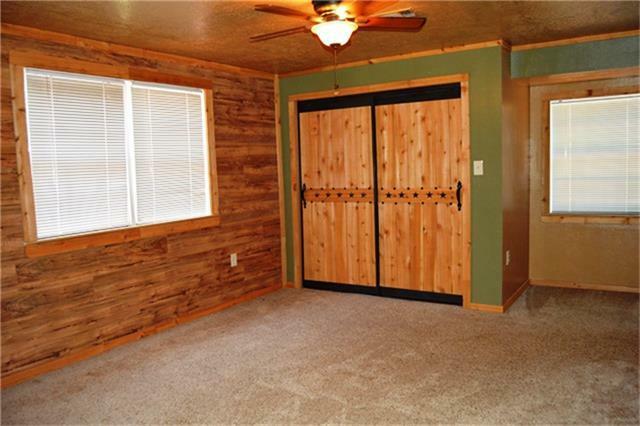 To the right is a door for a storage room under the stairs that lead to the guest bedrooms. 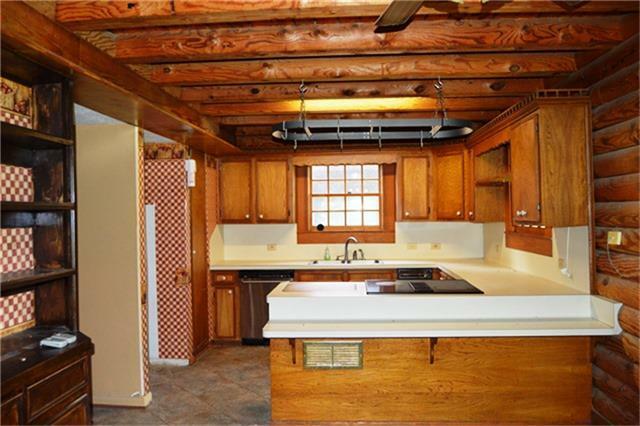 The dining area is brightened by the large bay window that casts a warm glow on the tile flooring. Notice the kitchen in the background. 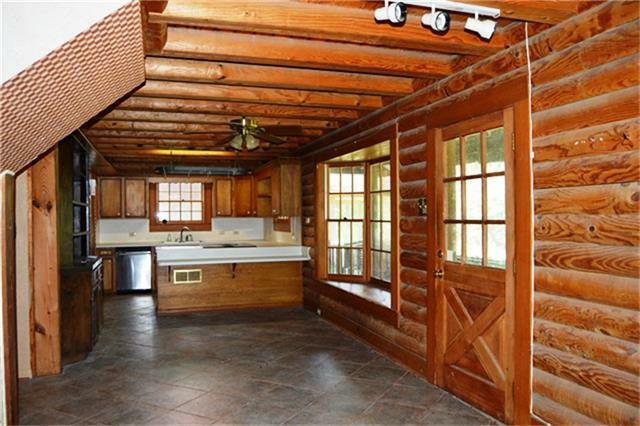 The kitchen is functional and has a eating bar which would be great for a quick meal, or for setting up buffet style meals. The electric cooktop faces the living area so the cook can still entertain or visit while preparing meals. 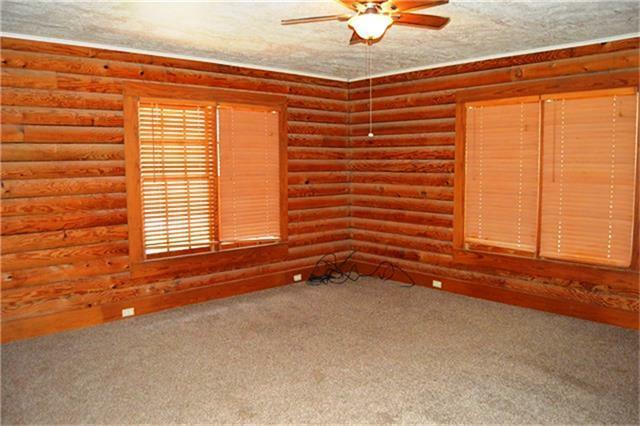 The master bedroom is downstairs and is nicely carpeted, with large windows that let in the natural light. 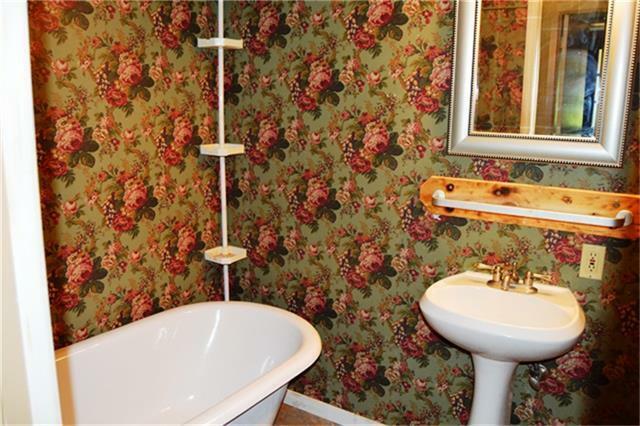 The bathroom off the master has a beautiful claw foot tub and could be a great weekend project. Paint and decorate to your taste! Up the stairs are 2 bedrooms and a shared bathroom. This bedroom has great accents and would make a great second bedroom. 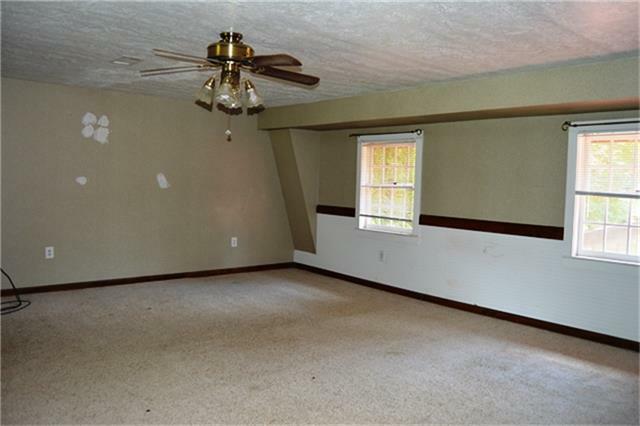 At about 16X16, this third bedroom is large and could be used as a game room or media room if a third bedroom is not desired! Another view of the third bedroom or game room. 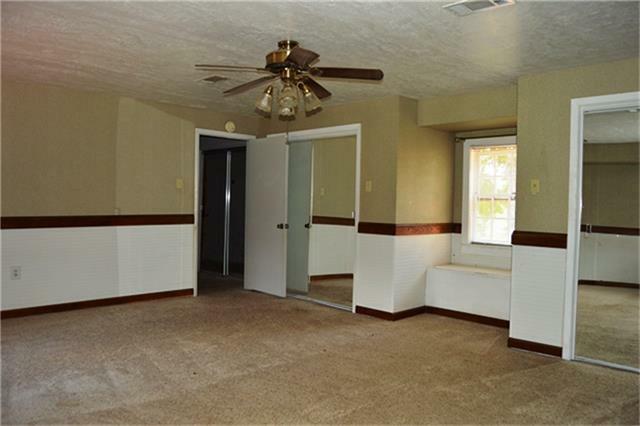 Notice the separate closets on either side of the bench window. 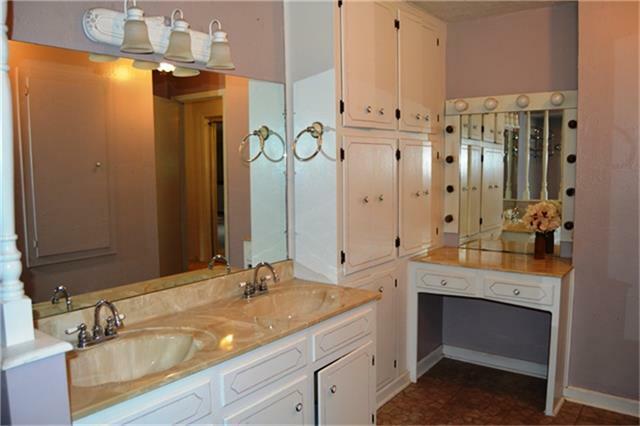 The upstairs bathroom is HUGE, with a double sink vanity, lots of storage, and even a make up vanity with a lighted mirror! 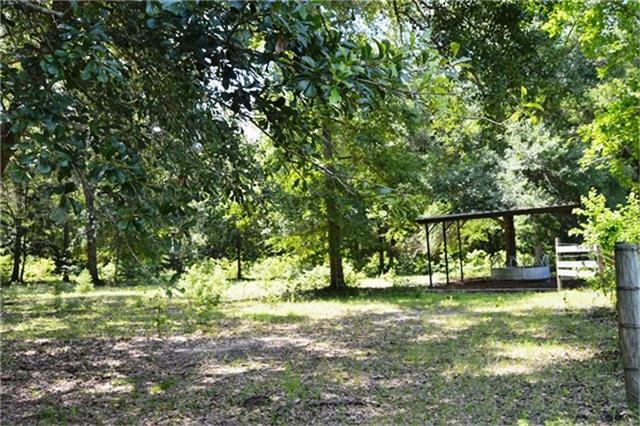 Off to the side of the home is a 2 car carport and a screened in area for entertaining! 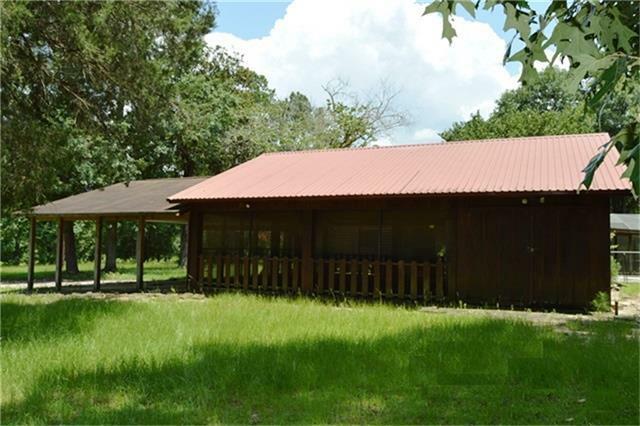 This unit has 2 rooms, and a fully screened in concrete pad. Inside the screened in area. Outdoor fans to keep guests cool, and 2 rooms for storage. The room to the left is a storage area, and the room on the right behind the white door has a bar area to serve food and drinks from! Looking at the back of the home, notice the completely fenced in back yard that also houses the covered and screened inground pool! What a sight to drive up on every evening. 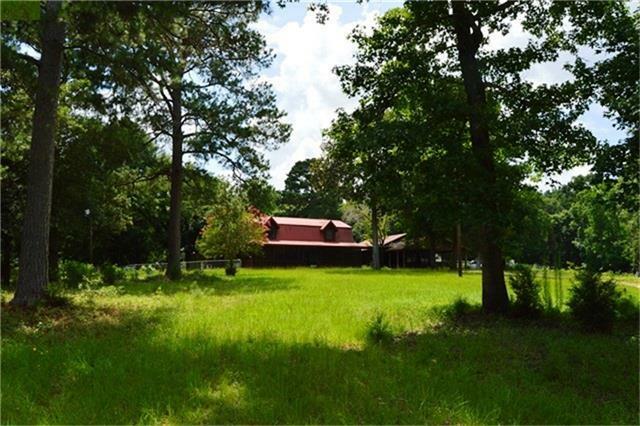 Your very own oasis in the middle of the National Forest. 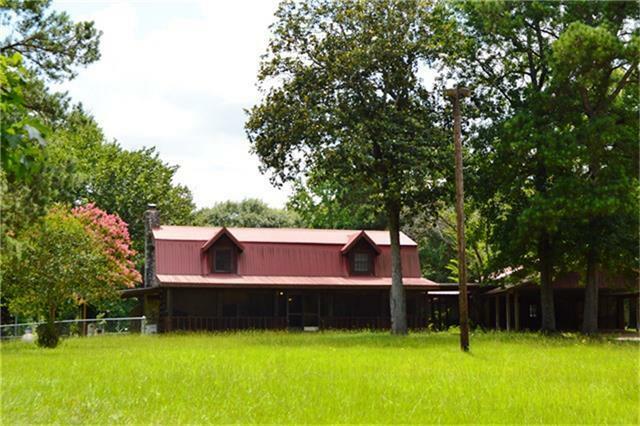 This home is the epitome of county living. Over to the side of the home is a large shop great for storage or a workshop area. 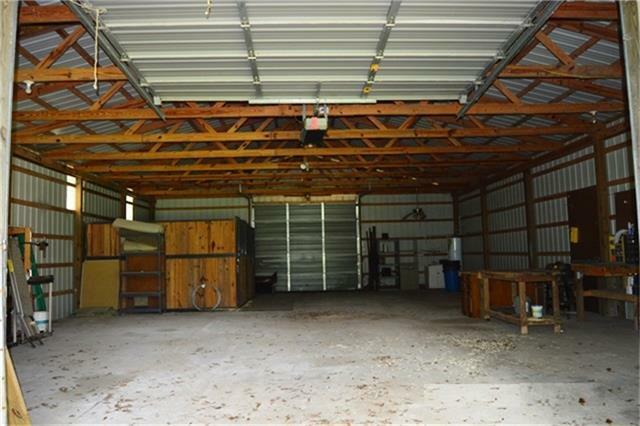 Inside this 30X50 shop is tons of space and opportunity to utilize this building however you see fit! There is electricity and water run to the shop, and there are electric roll up doors on either side, with a side walk-in door for quick access. 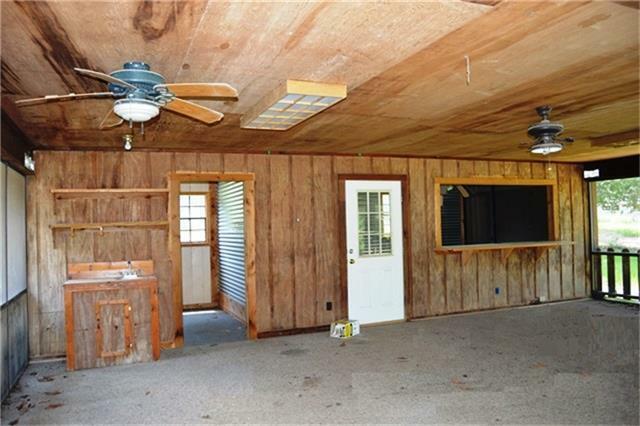 There is so much space in this unit! 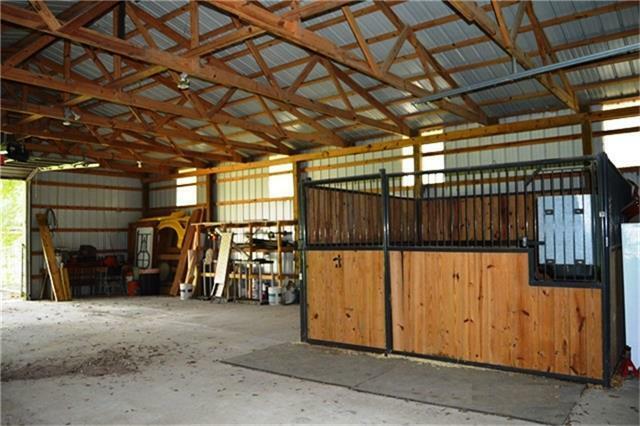 Use this building for storing large equipment, convert this into a mechanic s work shop, or even add stalls and use this as a stable and barn area! 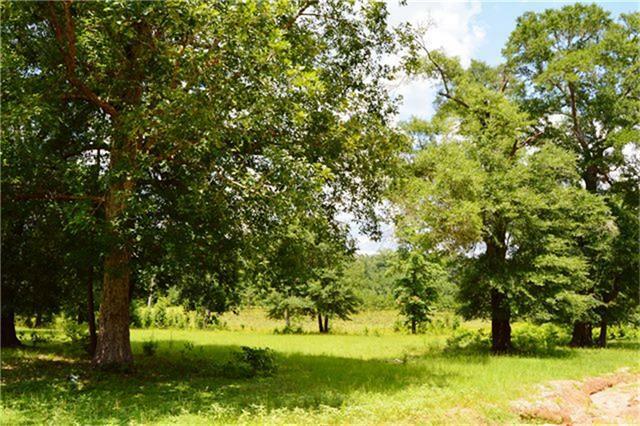 Throughout the 70+/- acres there are paths and trails that are perfect for overseeing your property, riding horses or ATVs, or taking your dog for a walk! 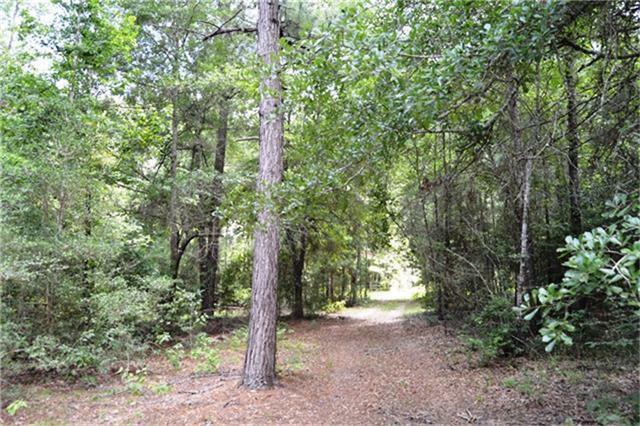 More trails, all throughout the property provide great outdoor recreational activity opportunities. 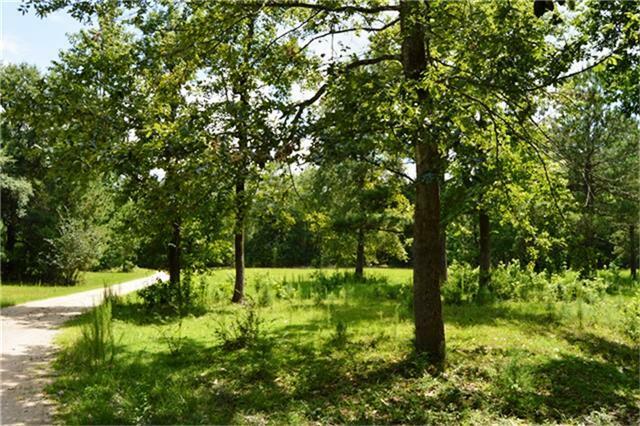 Looking out towards the front part of the property, with large cleared areas and scattered trees surrounding the long and winding drive up to the home. Looking over the fence and towards this large pond, which waters livestock and wild animals. 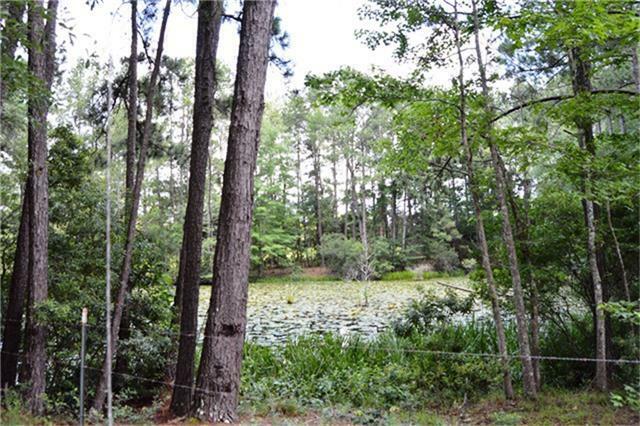 With a little pond maintenance, this pond would be great for fishing as it sits tucked into the trees making for great breeding ground for fish! Standing near the home and looking down to the bottom of the hill where a second pond lies. 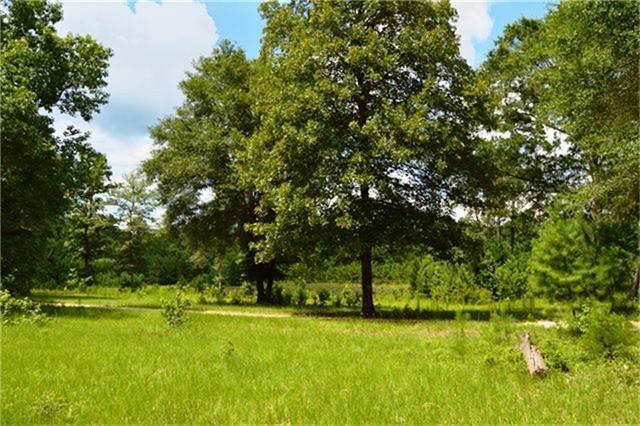 Sit on your front porch and enjoy this amazing view any time of day. 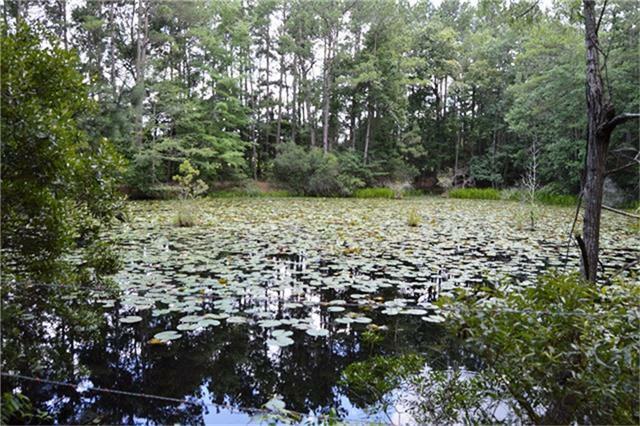 Another view of the second pond from across the driveway. 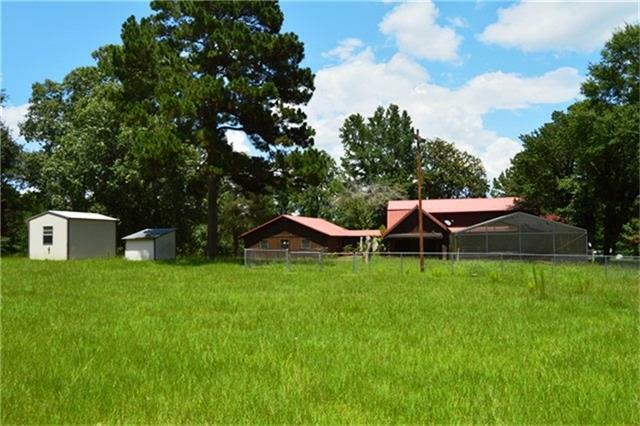 The property is fenced and even crossed fenced, with plenty of room for livestock to roam. Pictured here is a metal covering to keep hay out of the weather. 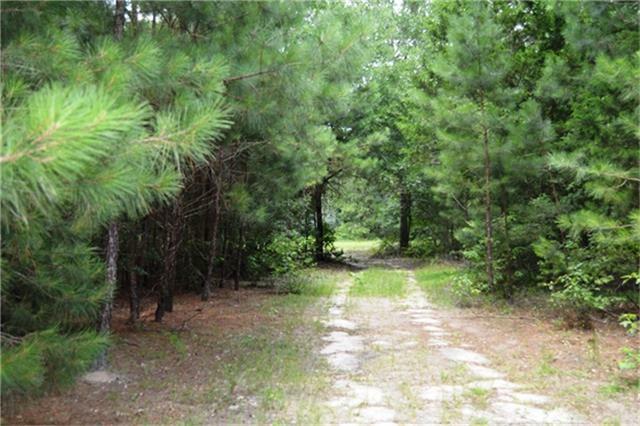 With multiple cleared areas and equally mesmerizing wooded parts, this 70+/- acres has it all and more. 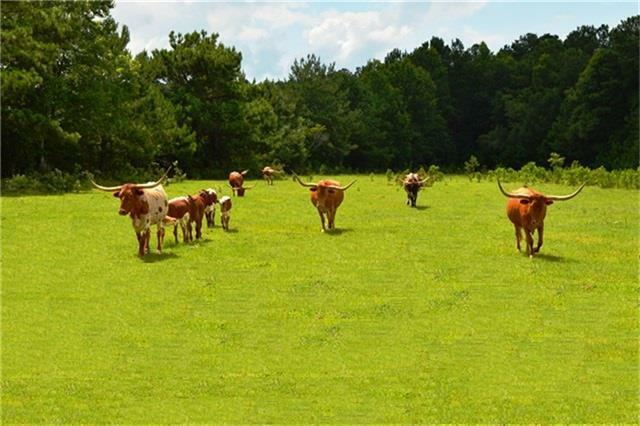 The current owner rotates his longhorns to different pastures occasionally. They peacefully roam and graze throughout the property. 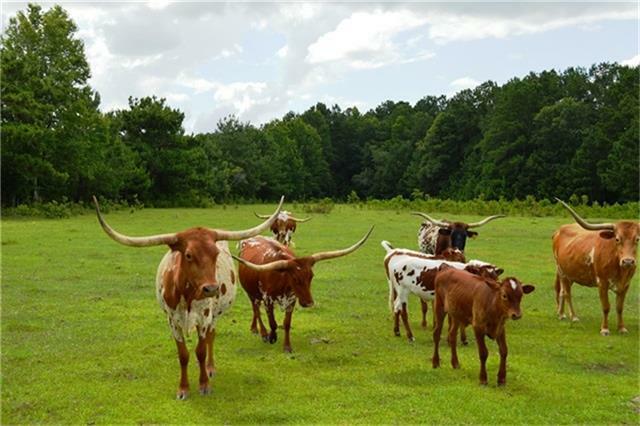 These longhorns love roaming this amazing property, and we think you will too! 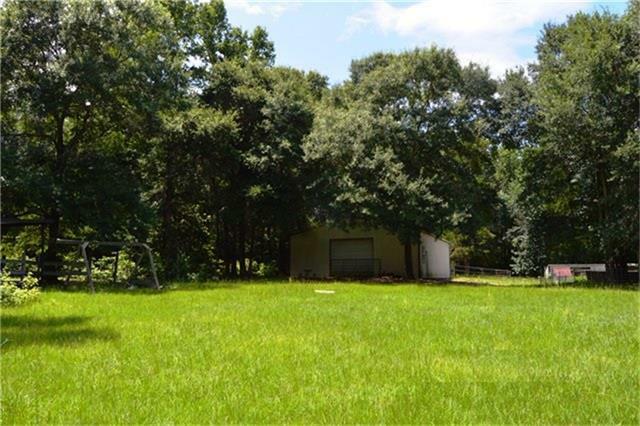 Call us today for a showing! 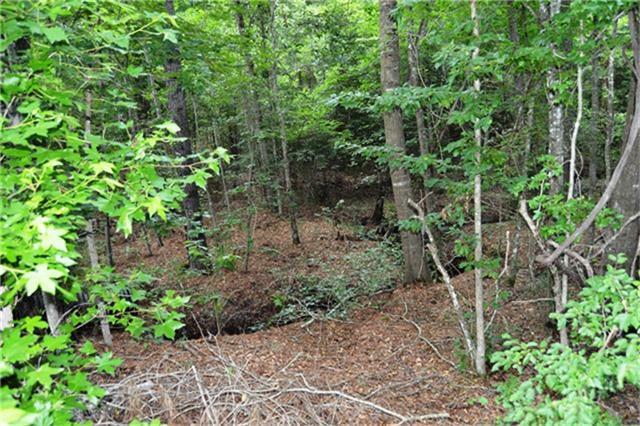 In one part of the wooded areas of the property is a babbling creek that meanders through the acreage, providing a place for runoff rain water and drinking water for the wild animals.